While FCC voted to kill net neutrality last December, order’s publication in Federal Register on February 22 has kicked off battle to save the internet. Congress can now block repeal, using Congressional Review Act (CRA), with simple majorities in both chambers, but it has only 60 legislative days—slightly longer than 60 actual days—to pass “resolutions of disapproval” which Trump must then approve. Fifty of needed fifty-one Senators are already on board, but 152 House co-sponsors are 66 votes short. Net neutrality plays important role in fighting for racial justice, preserving free expression, promoting innovation and economic opportunity. It’s also supported by voters across political spectrum, including 75% of Republicans. Without net neutrality, internet service providers will be able to put corporate profits over consumers by controlling what we see, do, and say online. Yesterday, advocates launched Operation: #OneMoreVote, flooding the Senate with phone calls. While millions of Americans have already spoken out, much work remains. We must keep the pressure on Congress--forcing immediate votes in both Houses to overturn this extremely unpopular, damaging order. Americans need to see where our MoCs stand on protecting democracy. Share this post with friends and family, especially in red states. Help them call their Congressional delegation and do the following: (1) inform them that the FCC order has now been published in the Federal Register, giving Congress only 60 legislative days to reject this extremely unpopular, damaging order, and (2) ask them to vote “yes” on the Resolution of Disapproval of the FCC order that will soon be introduced, so that net neutrality will be restored. Today we are calling on our MoCs to pass strong laws regulating guns. Other countries show that strong gun regulation works. Japan, a country with roughly 40% of our population, lost only six people to guns in 2014. Australia’s gun deaths have been below 300 annually for 15 years. 1. Require universal background checks on all gun sales. 2. Ban weapons or war, especially semi-automatic weapons, high capacity magazines, and bump stocks. 3. Require thorough training and permitting for all gun purchases. 4. Create a system to track and limit the purchase of ammunition. 5. Lift the ban on funding gun violence research. 6. Require that all guns use smart-gun technology to reduce accidents. 7. Implement a national gun buy-back program. Over the next year, 33,599 more Americans will likely be killed by guns. Many more will be traumatized by those deaths. Let’s join together and tell Congress: Put down the guns. **ACTION 2: GO TO A TOWN HALL AND ASK A QUESTION. 2. Ban weapons or war, especially assault weapons, high capacity magazines, and bump stocks. **ACTION 3: CALL, TEXT, AND EMAIL YOUR FRIENDS AND FAMILY IN RED DISTRICTS TO DO THE SAME. “SHARE” OR COPY / PASTE THIS ACTION! • Ask Senator Betsy Johnson to Support the National Popular Vote (NPV) in Oregon. NPV = one person, one vote, all votes equal. The NPV is a proposed agreement among states to give their electoral votes to the winner of the popular vote. It's seen as a way to fix our election system within the US Constitution. After years of trying, this is the first time the Oregon Senate gets to vote on this bill. Call or write Senator Betsy Johnson and ask her to vote yes on a clean NPV bill that does not refer NPV to a ballot initiative. Contact her at 503-543-4200‬ or at 503-986-1716. Sen.BetsyJohnson@oregonlegislature.gov. More information about NPV is here. For questions specific to NPV in Oregon contact Eric Halperin at ehod1@yahoo.com. • Tell your Members of Congress to stop the Concealed Carry Reciprocity Act (a bill that makes mass shootings easier). The Senate is considering a bill that is a top priority of the NRA. This bill would require states to recognize the gun laws of other states, essentially forcing them to accept lower standards than their own. That means that gun owners from states with minimal restrictions like Florida’s could legally carry their weapons anywhere, even to a state that would normally have prohibited them from carrying a gun. This bill has already passed the House, and the Senate is expected to bring it up this year. Read this resource on the Concealed Carry Reciprocity Act. • Support other brave students resisting the Trump agenda - the Dreamers.Urge your Members of Congress to pass a DACA fix that is consistent with our values and that doesn’t require Dreamers to sacrifice their parents in the process. More information here. 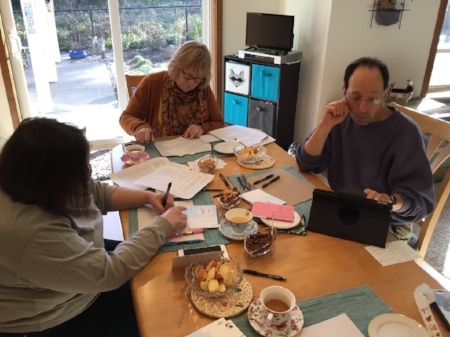 Laura, Kay, Eric, and Bebe (the photographer) are signed up and writing Postcards to Voters. 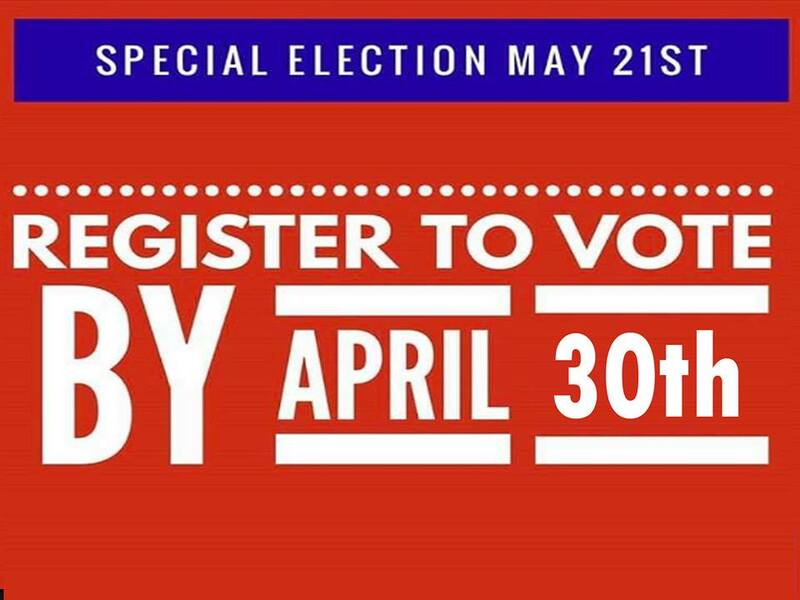 Thousands across the US are encouraging voters in this effective action. You can, too! More information is here. INCO is partnering with local students and their families for this rally to support their work to stop gun violence. As one student told us at our February 23 planning meeting, "I don't want to die in school." Along with thousands across the country, we are taking to the streets to demand that student lives and safety become a priority and that we end gun violence and mass shootings in our schools and elsewhere now. • ACLU is hosting a conference call on Thursday for students who want to be fully informed about their right to protest. • The March for Our Lives Facebook page is another helpful resource. • Student survivors of the Parkland massacre are organizing the March for Our Lives /www.marchforourlives.com/> on March 24. INCO plans to engage with efforts around the country to put an end to gun massacres, once and for all. If you'd like to help with INCO's activities about this issue, email incoregon@gmail.com. Saturday, March 3 - Warrenton Community Group meeting, 11 am, Dooger's Restaurant, Warrenton. The CG is putting together a hard copy contact list for our members, strictly on an opt-in basis, containing name, email address, mailing address and phone number. This list is intended for emergency use, special meeting notification, etc. If interested in having your info included and receiving a hard copy of this list, please email Meridee Faber at mjfaber8@msn.com no later than Feb. 26. Tuesday, March 6 - Oppose Bigotry Team meeting, 6 pm, at Joan's, Astoria. Contact catladyjoan@gmail.com for directions. Thursday, March 8 - Upper North Coast INCO (Manzanita/Cannon Beach), 6:30 pm, contact incoregon@gmail.com for address & directions. 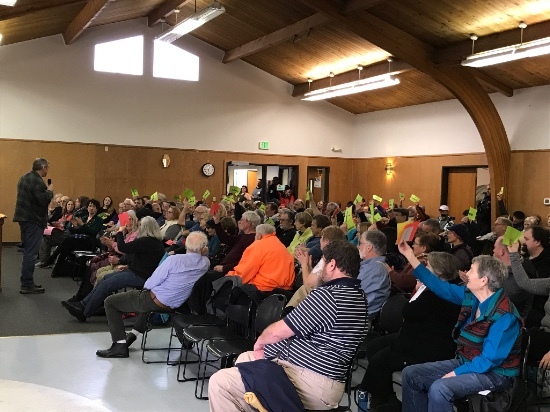 A civic-minded crowd waved INCO's Agree/Disagree signs as Senator Jeff Merkley answered their tough questions at his February 20 Town Hall in Seaside. You can inform and inspire others with a letter to the editor (LTE) to the Daily Astorian. Letters are among the most popular features in the paper. Even a paragraph or two makes an impact. Rules and directions for submitting your letter are here. Tips for letter-writing are here. 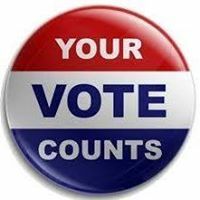 • One person, one vote, all votes equal - -why the Oregon legislature needs to pass the National Popular Vote (NPV). Info here. • The local or personal impact of gun violence, gun sales, the NRA, etc. 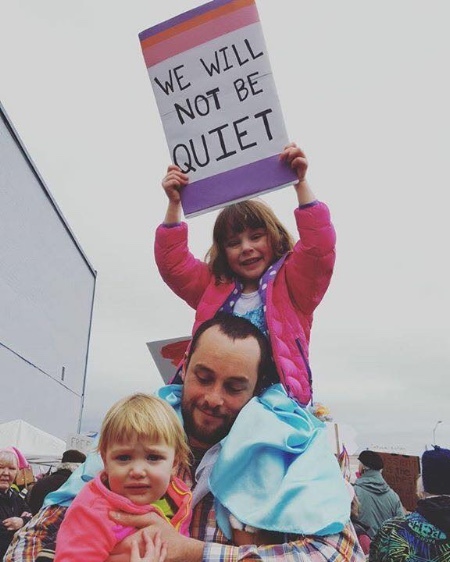 Moms Demand Action has this resource showing how Oregon could do better. Here's another national campaign for electing people who will work for gun safety. 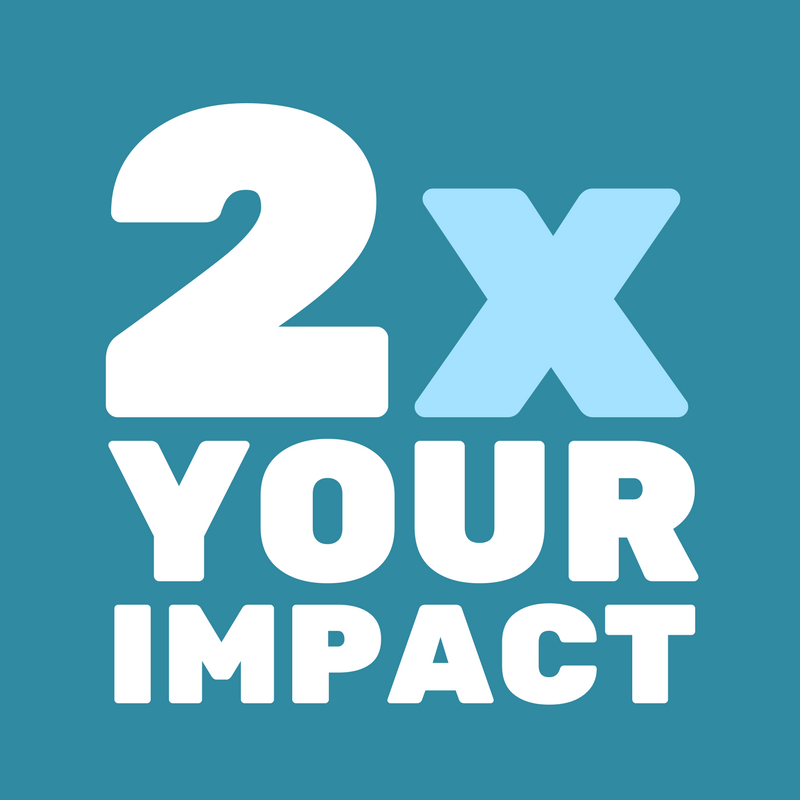 • Check out this video about maximizing the impact of your words. "Ignorance is not a viewpoint. Stupidity is not a political platform. Hate is not an opinion. Lies are not arguments." Our children guide and inspire us. We can't let them down. 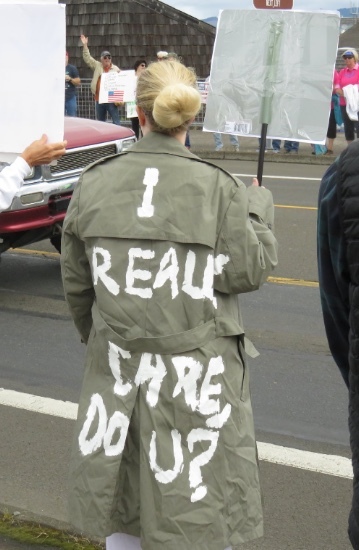 -- Astoria Women's March, 2017. From Mike Cook: "Please urge State Senator Betsy Johnson to support this bill. On top of legislative wrangling, there seems to be a malaise in the lobbying efforts to simply protect the bills for the ‘19 session. So, civility and brevity, but, spark, passion, determined voices are needed now. Contact her at 503-543-4200‬ or at 503-986-1716. Sen.BetsyJohnson@oregonlegislature.gov. -10 years in process, we need no more time, it’s tested and proven process..clean energy, growing economies. -We can’t afford wrestling for power in the capitol at the cost of our children’s, state’s and world’s future. -Keep it personal, local and in your place as his or her constituent. -- despite FBI indictments against a Russian troll farm and its financiers for interfering in the 2016 election. Their decision follows recent news that Majority Leader McConnell knew about Russian election meddling before the 2016 election but refused to support bipartisan efforts to expose and stop it. Meanwhile, Special Counsel Mueller is homing in on corruption in the Trump campaign. Five senior campaign staff have pleaded guilty, making the head-in-the-sand Republican strategy increasingly irresponsible—and dangerous. -- protect Mueller from removal. Let’s stand up and hold Congressional leaders accountable. My name is [--] and I’m a constituent from [city], Oregon, zip code [--] Mueller’s recent indictments leave no doubt that Russian meddled in our 2016 elections and will do so again. However, Trump and the GOP refuse to take any action against this threat by a foreign power and instead seek to derail the current investigations by politicizing intelligence and our institutions, like the FBI and DOJ. What will you do to safeguard the 2018 elections and Mueller? Will you push for the passage of the Honest Ads Act, the Secure Elections Act and the Special Counsel Independence Protection Act? Share this post with friends and family. Help them leave messages for their Senators to take actions to protect our elections and protect Mueller. The short session is now past the halfway point and we are at a critical time for National Popular Vote. In short: All eyes are on Sen. Burdick as she alone has the power to move the bill at this point. We need you to call Sen. Burdick TODAY 503-986-1700 and ask her to schedule a work session. A work session means a vote in the Rules Committee to move the bill out of Rules and onto the larger Senate. Call early & call often, talking points are at the bottom of this email. Sen. Michael Dembrow has drafted an amendment to amend SB 1512 to remove referral. 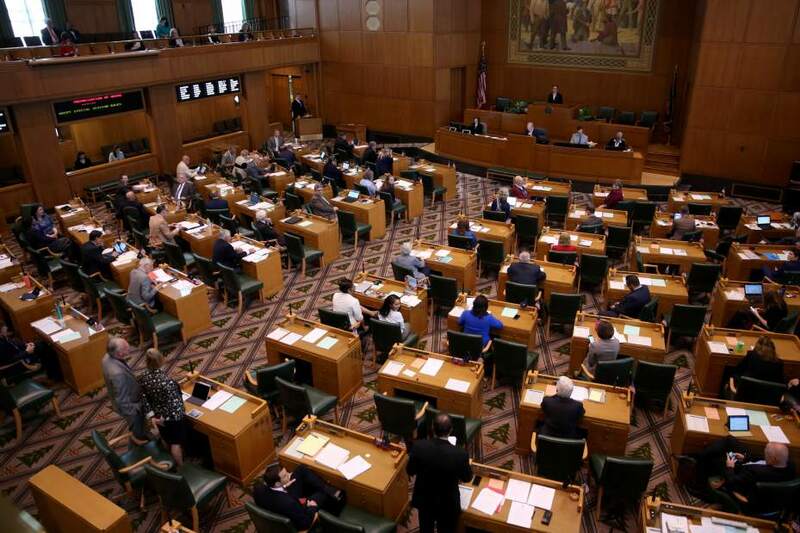 This amendment restores the bill to the same text that has already passed the Oregon House four times, has passed in 10 states, D.C., and passed at least one chamber in 12 other states. This amendment is what we want & will be introduced today. 1. The Rules Committee could hold a vote for this bill during their regularly scheduled meeting Tuesday or Thursday. Agenda's go out the day before the meeting. This vote decides if the bill can move out of committee to be considered by the full Senate. 2. The Rules Committee can schedule a vote for this bill at any time in the next week with permission of the Senate President. This also means the bill can be added to an agenda shortly before a meeting. Realistically we need this to be considered Tuesday or Thursday in order to have enough time for a vote to occur in the Senate and get through the house, we are hoping to make enough noise to make this happen Tuesday! Sen. Burdick's office is tallying votes. As Chair of the Rules Committee and Senate Majority Leader she has a responsibility to all Oregonians to follow Sen. Courtney's lead and allow good governance to preserve so don't think you shouldn't call because you're not a constituent! Please allow our Senators to represent us by voting on National Popular Vote! Follow Sen. Courtney's lead in demonstrating good governance and allow a bill through that you may not agree with. Surely you see the merits in a bill you sponsored as recently as 2015. Please display leadership on this bill and allow your peers to vote on this bill, 1 person 1 vote extends to Senators too! Thank you! This bill would not be nearly this far without the support and activism from all of you, now lets get this over the finish line!! Click here for more on NPV in Oregon. Several unqualified, extreme-right judicial nominees won Senate committee approval and may receive confirmation votes any time. We must oppose them. Appellate court nominees Michael Brennan and Oregon’s Ryan Bounds are opposed by home-state senators. • Brennan believes that judges don’t have to follow legal precedent. • Brennan also refused to acknowledge that our criminal justice system shows racial bias. • Bounds wrote a string of bigoted articles in early/mid-90s as opinion editor of the Stanford student paper. • Bounds also argued that Stanford could not prevent future rapes by an accused student, and that the accused should be protected from “egregious error” in a university hearing. • representing the NRA, has argued cases opposing bans on semiautomatic rifles and large capacity magazines, promoting handgun purchases for people under 21 and arguing for public carry of firearms by people ages 18 to 20. • believes that gay judges should not hear LGBTQ cases. Let’s call our Senators and tell them to keep fighting. Oppose these nominees. **ACTION 2: CALL, TEXT, AND EMAIL YOUR FRIENDS AND FAMILY TO DO THE SAME. “SHARE” OR COPY / PASTE THIS ACTION! Trump and the GOP are endangering the health and rights of people with disabilities. The budget proposal released Monday includes cuts of $1.4 trillion to Medicaid and $5 billion to Medicare. These cuts will significantly harm 53 million people in the U.S. who have disabilities, including one in three people over the age of 65. H.R. 620 passed the House and is headed to the Senate. This amendment to the ADA places the burden of compliance onto people facing discriminatory barriers. It eliminates any incentive for businesses and institutions to comply with ADA rules proactively. Those who have been denied their rights of access to public spaces are barred from immediately filing an ADA compliance lawsuit. First they must provide the business with a detailed legal notice explaining the specific violation. The violator then has six months to respond. This makes litigation difficult, suppressing enforcement. The ADA is not an undue hardship on businesses, as claimed. The rules have been in place since 1990 and are well known. It already contains exemptions when change is not “readily achievable”. There are already rules barring attorneys from filing frivolous lawsuits. Call on your representatives to protect disability rights. “My name is [--] and I’m a constituent from [city], Oregon [zip code]. I am calling because the civil rights and health of our disabled and elderly neighbors and loved ones are under attack. The so-called ADA Education and Reform act would severely weaken the ADA and roll back disability rights. Trump’s newly proposed budget includes devastating cuts to Medicaid and Medicare. I am asking the Senator to use every means at his disposal to ensure defeat of any form of H.R. 602 introduced in the Senate. I am also asking him to vote against any budget that includes cuts to Medicaid and Medicare. Thank you. “My name is [--] and I’m a constituent from [city], Oregon, [zip code]. I am calling because the civil rights and health of our disabled and elderly neighbors and loved ones are under attack. The so-called ADA Education and Reform act would severely weaken the ADA and roll back disability rights. Trump’s newly proposed budget includes devastating cuts to Medicaid and Medicare. I want to thank the Representative for voting against H.R. 602. I am also asking him/her to vote against any budget that includes cuts to Medicaid and Medicare. Thank you. “My name is [--] and I’m a constituent from [city], Oregon, [zip code]. I am calling because the civil rights and health of our disabled and elderly neighbors and loved ones are under attack. The so-called ADA Education and Reform act would severely weaken the ADA and roll back disability rights. Trump’s newly proposed budget includes devastating cuts to Medicaid and Medicare. I am deeply concerned and disappointed that the Representative supported H.R. 602. I am asking him to consider the lives and liberties of his constituents first; no longer support legislation that helps to infringe on our civil rights; and oppose any budget that includes cuts to Medicaid and Medicare. Thank you. Share this post with friends and family. Help them leave messages for their congressional delegations about protecting Medicaid, Medicare, and the Americans with Disabilities Act. Thirteen Russian operatives and three Russian companies were indicted for conspiracy to subvert the 2016 election by aiding Trump using social media platforms. While Mueller was securing two more guilty pleas (more are expected soon), Trump, the GOP, and Russian bots sought to tarnish the Russia investigation. As Mueller quietly continued to investigate email hacking and obstruction, US intelligence leaders agreed that Russian meddling endangers the integrity of the 2018 elections. Congress must act now to prevent the 2018 elections from being hijacked and to safeguard the Mueller investigation. Let’s stand up and hold them accountable. Gun violence is a public health crisis inflicted on America and her children by our lawmakers’ continual and consistent failures to act. Gun violence loudly invades our lives with mass shootings, school shootings, and active shooter drills in schools. Gun violence quietly and completely devastates day to day life when 96 people are murdered every day. America is held hostage to this terror because lawmakers beholden to the National Rifle Association (NRA) parrot NRA talking points over protecting America and her children. We don’t have to live under constant threat. Australia responded to a mass shooting in 1996 with comprehensive gun legislation. There have been no mass shootings since. We need courageous leaders who will put our children’s lives ahead of donor cash. We need lawmakers who understand that passing comprehensive gun safety legislation is the only to save our country and stop the NRA. The children of America have had this crisis thrust upon them. They are rising up to shape a brighter future – where comprehensive gun reform exists. Will Congress do the same? If this Congress won’t, we must vote in a Congress that will. Find more ways to get involved with Everytown by texting ACT to 644-33. Emma Gonzalez, a senior at Marjory Stoneman Douglas High School, spoke at a rally this weekend. Hear her words. Follow her lead. We must demand freedom from gun violence. Or call BS.